I shoot from the hip and don’t normally outline or plan. I let the characters lead me. I try to get a bit of writing in each evening as the story is coming along. When it gets close to the end, I usually buckle in and give myself longer periods to focus. I use music to help me plan out scenes, usually when I’m on my thirty minute drive to and from work. I “see” what’s going to happen and replay it over and over to its own soundtrack before I write it later. 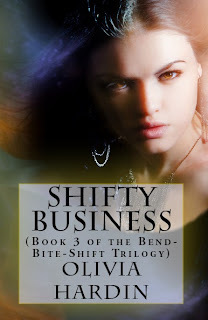 This book focuses on Gerry who’s a shifter (not the kind you’re probably thinking ;-) She’s also all business, focused on her job with The Company. That made the title easy – Shifty Business. It’s also a double entendre because Gerry will learn to shift her thinking about life by the end. I liked to have a title first or at least within the first couple of chapters. I don’t really know why, except that it helps me have a “name” by which to call my work-in-progress. Yes! The flight scene is loosely based on my experience flying in the hubby’s Cessna. We’ve had a lot of adventures in that classic plane. Can I have two? Stephanie Nelson and Liz Schulte have both mentored me. 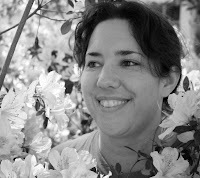 Stephanie nursed me through my first year of writing and continues to be a great friend and inspiration. Liz has taught me so much about perfecting the craft and pursuing excellence and I could on her help and friendship. Right now I’m reading a really good YA book called Fearless by Tawdra Kandle. I don’t read a lot of YA, but from the first chapter I connected with the Tasmyn. I’m so glad you asked! I have at least three projects planned for this year. Right now I’m finishing up work on a contemporary romance called All for Hope to be published through Hayson Publishing. After that I plan to put out the second book in my MAUCs Series, Tangled Up In Trouble. Then, by the end of this year I intend to put out the first book in the For Love of Fae Trilogy, Sweet Magic Song. When a little girl gives a mysterious silver box to Gerry, her world self-destructs. Suddenly under constant mental attacks, the only person who can save her is her partner, Nicky--but nothing comes without a cost. Secrets buried deep in the past begin to rise, threatening everything she holds dear. If she can't out run her past, can she save her future? Olivia’s attended three different universities over the years. She toyed with majors in Computer Technology, English, History and Geology until one day she heard the term road scholar and she knew that was what she wanted to be. Now she “studies” anything and everything just for the joy of learning. She's also an insatiable crafter who only completes about 1 out of 5 projects, a jogger who hates to run, and she’s sometimes accused of being artistic.